Being present at Restaurant Congress 2017, Chef Vikas of Flurys shares his experience and thoughts about the event and more. 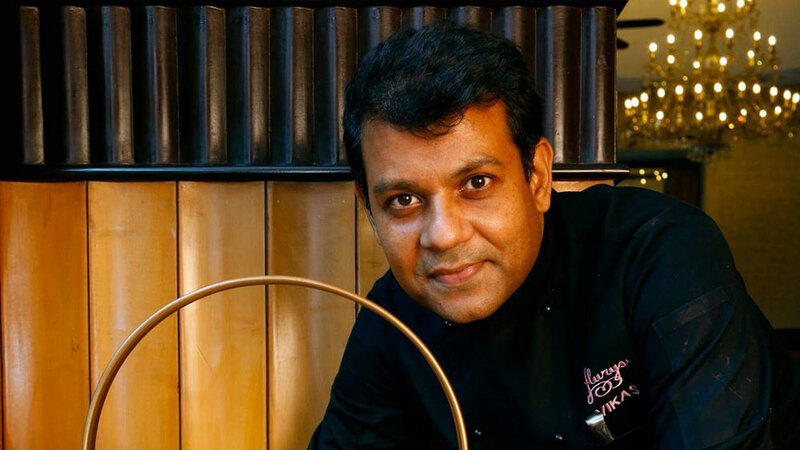 Chef Vikas joined Flurys in the year 2010 after successful stints with The Taj Group of Hotels, The Cunard Line, UK and the Intercontinental Hotel Group. An alumnus of the prestigious IHM, Taratala, Calcutta and with training stints in many different countries, Chef Vikas sports almost 18 years of diverse experience. After his long stint with the Taj Bengal till 2000, he joined some of the best luxury cruise liners including the iconic Queen Elizabeth II and has served some very famous people including the Queen, the Duke of Edinburgh, the Archbishop of Canterbury, and numerous Hollywood personalities including Julia Roberts and Mariah Carey. Restaurant India 2017 East India Edition, held in Kolkata on June 22, witnessed spirited participation of a crew of chefs specialised in diverse culinary skills. Vikas Kumar, the chef behind the iconic Flurys, the Swiss restaurant on Park Street Kolkata, famous for its bakery and the legendary tea room, was at a part of the team. Do you think Restaurant India 2017 East India Edition, held in Kolkata on June 22 met expectations? Will Eastern India benefit from such conclaves? The event exceeded the expectations, especially being the first edition of the event. The list of attendees was quite impressive and it was a great experience for me, personally, to be a part of this. The enthusiasm among the participants was palpable and it was heartening to see so many youngsters and them asking so many questions. There is no doubt in my mind that East India will immensely benefit from such events. Are you happy with the F&B scene in the East? With increasing consumptions and the availability of good quality raw material, which is getting better now, I think there is immense untapped potential in the Eastern India market. As we know already, people from this part of the country are great appreciators and experimenters with food traditionally and there is a huge potential for the organised sector to tap into that. Why do you think there is such traffic in F&B sector of Indian start up? F&B sector is among the fastest growing industries in the country. It is small wonder that many entrepreneurs would like to ride the wave and create sustainable and successful businesses out of this upsurge. Also, with the success of the international F&B brands in the country, the Indian entrepreneurs already have a proof of concept and just need to create competencies to grab a pie of the fast growing market. Experimentation with food is a short term thing - Do you agree? The new players in F&B must try doing things differently with innovation and creativity in order to sustain their models and be unique. I don't think fusion food or experimental food is a short term thing, only, I would call it innovation and not experimentation. With increasing awareness and availability, innovation or experimentation, if you like, is one of the most important processes to create interesting and exciting new products to keep the discerning clientele interested and looking forward. What are the road blocks for F&B industry in India? With umpteenth number of career options available in the market, the Indian youth is gradually opting out from professions like that of a chef which requires 14-15 hours in the kitchen. The comfort level of the urban and semi urban youth is further aggravating the situation. Curriculum is another area I am concerned about. The programme needs to be updated and improved in most of the hotel management institutions. There should be better awareness building for a more relevant and modernised course which matches with the trends, both nationally and globally.